?Real Madrid have reached an agreement with German manufacturer adidas surrounding a new 12-year kit deal at the Santiago Bernabéu. The club’s current agreement with adidas was set to expire in 2020, but terms have now been agreed over their new deal which will come into effect at the end of the season. As part of the new deal, Marca report that Real will pocket up to €120m a season, and it’s estimated the contract will be worth €1.6bn in total to make them the highest-paid club on adidas’ books. Los Blancos will also receive 20% of the sales related to their products from adidas, who will be given a space at Real Madrid’s stadium once renovation works begin, which is believed will be the brand’s biggest shop in the world. The club already have plans to give the famous Santiago Bernabéu a 21st-century makeover, which is aimed to be completed by 2022. Real are expecting to be set back €525m as part of the renovation. adidas’ ability to retain Real Madrid as their major partner keeps Los Blancos alongside Bayern Munich and Manchester United on their books, while Arsenal will be switching from current supplier Puma – who create kits for Manchester City, Borussia Dortmund and Palmeiras – back to adidas at the end of the season. Some of the Gunners’ most iconic design throughout their history, including the ‘Bruised Banana’ away shirt, were created when the two were last in business together during the early 1990s. ?European giants Real Madrid will look to capitalise on Tottenham’s financial struggles this summer by luring midfielder Christian Eriksen to the Santiago Bernabéu. The Danish midfielder is stalling over a new contract in north London as he considers a move away from the club, and the Denmark international could be available in the cut-price deal at the end of the season as his contract runs out in 2020. Tottenham are reluctant to sell one of their star players and are hopeful that their success in the Champions League could help keep Eriksen at the club. But a report from AS claims Real Madrid have not been deterred by Spurs’ progression into the semi finals of Europe’s elite competition, adding that Los Blancos will use the Premier League side’s financial situation to their advantage. Tottenham have recently moved into their new, state of the art home stadium, but construction for the ground went on much longer than expected and it’s hit the club in their pockets. Spurs’ total outlay on their new White Hart Lane is believed to be in excess of £1bn – which included a loan of over £600m. The report claims Real Madrid will look to use the fact Tottenham have one hand tied behind their back when it comes to finances, as well as the Dane’s contract situation, to be able to sign Eriksen at the end of the season. When Spanish tv asked Christian Eriksen about possible Real Madrid interest, he laughed and just walked off. They’re also looking to use Eden Hazard’s contract at Chelsea as a negotiating tactic with the decision makers at Stamford Bridge. Real Madrid have already committed to spending £85m on two new players this summer, having wrapped up deals for Porto centre back Éder Militão and Brazilian wonderkid Rodrygo from Santos. Real Madrid host Athletic Club on Sunday as they look to end a turbulent season on a high. The club have had three managers this season and were knocked out of the Champions League, a competition they had won three times in a row, by Ajax in the quarter final. Madrid are 13 points behind La Liga leaders Barcelona and will end the season without a major trophy for the first time in a decade. Since returning to the club after replacing Santiago Solari five weeks ago, Zinedine Zidane has steadied the ship – winning three out of five games. Here’s Real Madrid’s potential starting XI for the game against Los Leones. Keylor Navas (GK) – Zidane has made it clear who his number one goalkeeper is, Navas starting all but one game since the Frenchman returned to the Spanish capital. The game he missed, Zidane’s son Luca played, so who knows what the future has in store for Thibaut Courtois. 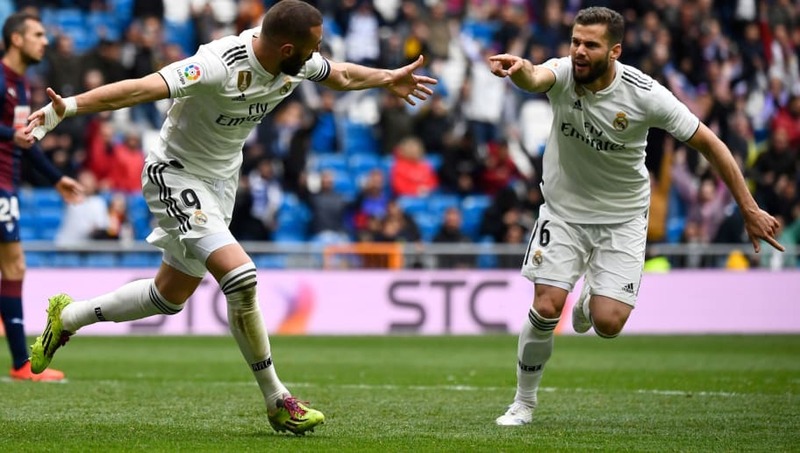 Daniel Carvajal (RB) – After missing five games with a torn muscle bundle, Carvajal returned to action in the last game against Leganes and should retain his place. Raphael Varane (CB) – A mainstay of the Madrid defence, Varane has only missed five games this season. The World Cup winner has been linked with a move away from the club but Madrid would be silly to let the 25-year-old leave. Nacho (CB) – With Sergio Ramos still injured, 29-year-old Nacho should start alongside Varane. Marcelo (LB) – In his 13th year at Madrid, Marcelo has been linked with a move away to Juventus – to link-up with his close friend Cristiano Ronaldo. Despite question marks about his future, he is still the best left back at the club. Casemiro (CM) – The Brazilian has started 23 of 33 league games this season and with Toni Kroos ill, he should play on Sunday. 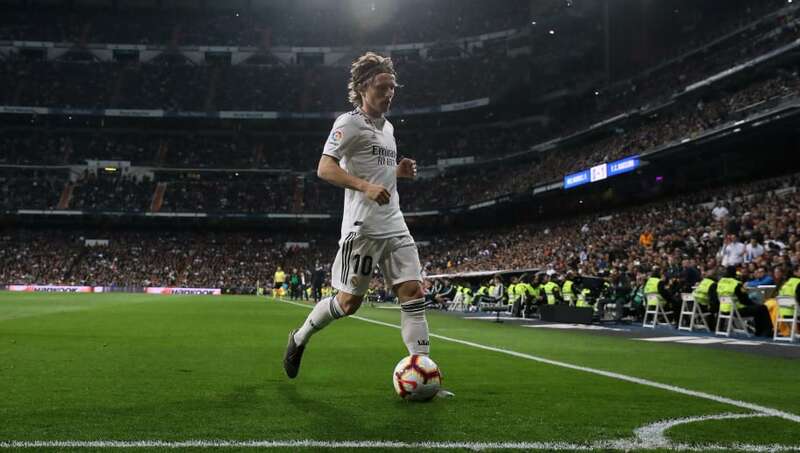 Luka Modric (CM) – Three goals and five assists in the league underline how important the 33-year-old is to Madrid. He is constantly scheming in the middle of the park and shows his class every time he steps onto the pitch. Dani Ceballos (CM) – A £15m signing from Real Betis two seasons ago, Ceballos has enjoyed more game time this season than last as he grows into the role of a Madrid player. Isco (RW) – The playmaker has had a mixed season, with a combination of injuries and being out of favour under Solari limiting him to just nine starts in the league. With Zidane back at the helm, Isco will hope to have a long run in the team. Karim Benzema (ST) – With 18 goals, Benzema is by far Madrid’s top scorer in 2018/19. He has shouldered the burden left by Ronaldo and doesn’t deserve the criticism he receives from some Madridistas. Marco Asensio (LW) – The 23-year-old has contributed to six goals this season and his influence on the team is growing every game. ?Real Madrid have confirmed that full-back Alvaro Odriozola has been diagnosed with a fracture of the left clavicle, amid concerns that the injury will rule him out for the rest of the season. The 23-year-old has featured heavily in his first full season with Los Blancos, making 14 appearances in La Liga since arriving from fellow Spanish side Real Sociedad last summer. According to Spanish publication ?AS, Odriozola is expected to be out for the remainder of the season, after breaking his collarbone in a training ground accident involving teammate Vinicius Junior. The 23-year-old was said to have fell awkwardly after a challenge with the Brazilian winger, and tests have now revealed the full extent of the damage suffered. Odriozola has been a regular starter under newly reappointed Zinedine Zidane, playing the full 90 minutes on four occasions for the Frenchman. However, Dani Carvajal’s own return from injury meant that Odriozola started the previous game against Leganes on the bench, with the expectation that the former will now reclaim his place in the first-team. Having joined Sociedad’s youth set-up as a ten-year-old, Odriozola made his first-team debut for the club in a 2-0 win away at Malaga in ?La Liga. After two seasons with the side, ?Madrid signed the full-back for a fee in the region of €30m last summer, and had enjoyed a fine debut campaign. ?Former Real Madrid manager Fabio Capello has given weight to the speculation surrounding the club’s ridiculous transfer budget for next season, claiming they have set aside an incredible €500m to spend on renovating the playing squad. 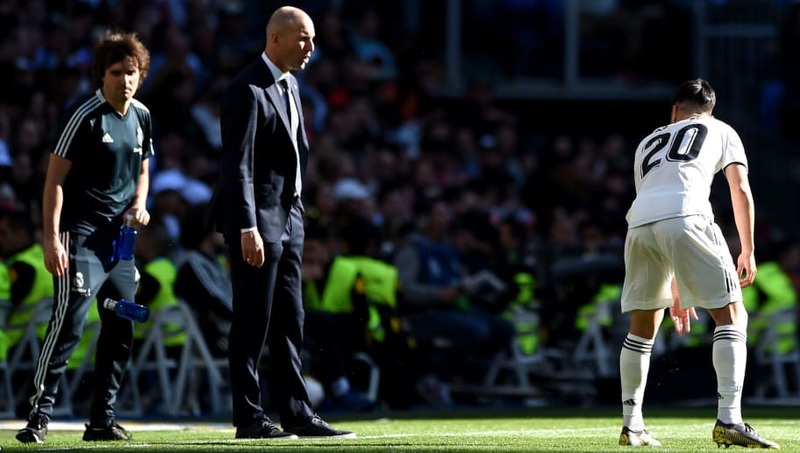 After a dreadful season that saw both Julen Lopetegui and Santiago Solari come and go, the club will finish the campaign with no silverware, and have re-appointed Zinedine Zidane just ten months after he walked out of the job. One of the factors thought to have convinced the Frenchman, who famously won three consecutive Champions Leagues in his first spell, to return is the club’s ambitious transfer plans, and rumours surrounding who they might move for and how much they will spend have gone into overdrive. In one of the more concrete updates we have seen on the situation, Capello confirmed via Sky Sports Italia (as quoted in ?The Mirror) that they will indeed be spending big. Capello’s word likely carries a lot of weight at Real. While not quite a legendary figure, he had two brief spells with the club in 1996-97 and 2006-07, winning ?La Liga on both occasions. If his word is to be believed, then, the pressing question is which players the budget will be spent on. The club have been linked with moves for Eden Hazard, Sadio Mane, Paul Pogba and a ?host of other players to the point that it is almost beyond parody. It’s also expected that their budget will be supplemented with the fees raised for outgoing players. ?Gareth Bale is widely expected to leave, while Toni Kroos and Raphael Varane are among a number of current first team stars who have been linked with moves away.